Menzies House disrespects the Australian Public, again. 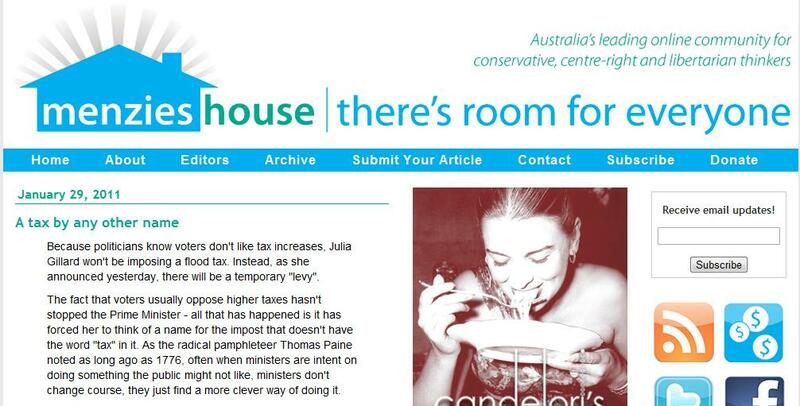 Its been a very bad week for the website Menzieshouse with its so called article that was written by a senior Liberal MP about Joe Hockey which it took down after it got rubbished in the media for its American Style Conservative views on how Australian Politics work. Visit this website to view the Australian Goverment’s campaign to promote ‘respect’. Is this the most nauseating government advertising campaign ever? Never forget, we pay for this rubbish. Yes views the Menzies house website and founders are promoting HATE , Racism , and also they want the DEATH penalty brought in to Australia YES thats what the Menzies house want and IF ABBOTT ever got to be PM (WHICH HE WILL NOT) he has Core values just like the red necks at Menzies House. A HEALTH WARNING … to any one that clicks a link on menziehouse.com.au YOU may feel sick , dizzey , Heart troubles , you may have a feeling to smash your computer after reading the website. is this the most nauseating government advertising campaign ever? Yes and the editor thinks that Respect is very nauseating mmmmm what shock horror from the red necks at Menzie house a home for red necks and right wing spin doctors to meet on a daily bases. I checked out the Menzies House site. Seems pretty middle-of-the-road to me. Anyway, each to their own.